There is no doubt that a clean environment leads to a relaxed mood and the same case is true in the ocean as it is in real life. The perfect cleaner in this case is Labroides dimidiatus commonly referred to as the blue streak wrasse which specializes in keeping the aquarium free from parasites and extends its services to cleaning other fish too. If you have a keen eye you will realize that in tanks occupied by the blue streak wrasse the fish are usually less aggressive. This is because it offers the kind of service we humans call therapeutic. They nibble parasites from the body, mouth and gills of other fish. They form a kind of a station and attract larger fish to their stations by making strange, oscillatory swimming movements, and the fish then stops to get cleaned. Wrasses enter the mouth and gill openings and remove any ectoparasites and diseased tissue. 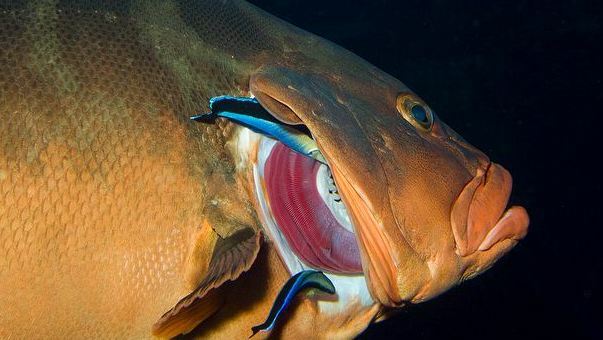 The larger fish not only refrain from devouring these small cleaner fish, but actually readily open their mouth and gill cavities so that they are able to clean. 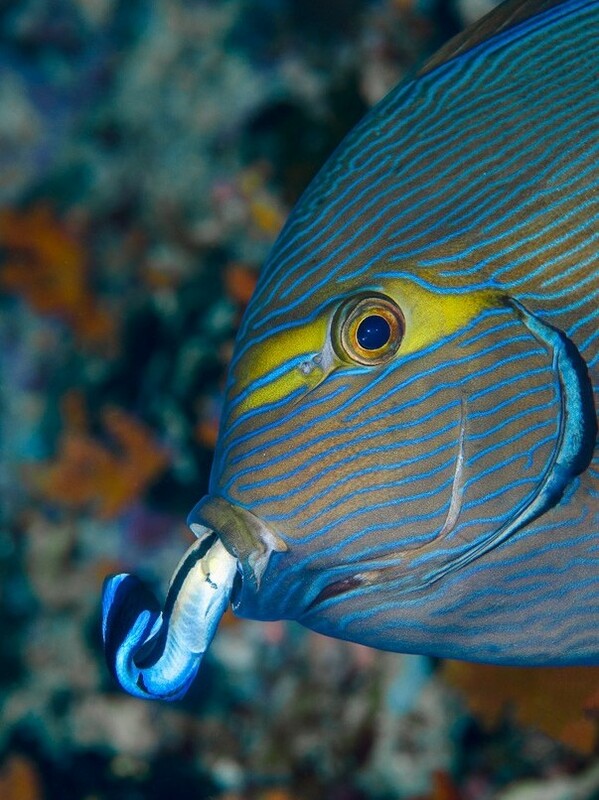 This is clearly a mutualistic relationship between cleaner wrasses and various larger fish of the ocean. It consumes a large number of parasites 1218 each day or 5 parasites per minute and most of the prey items were juvenile gnathiid isopods. Males and females are the same in colour, juveniles are black with a single blue stripe running from snout to the upper part of caudal fin. Cleaning stations are occupied by a pair of adults, a group of juveniles or a group of females accompanied by a dominant male. A female becomes a functional male if the dominant male disappears. As a precautionary measure to fight parasites it is best to let the blue streak wrasse occupy your tank but this is just an insurance policy against parasites. Other measures should also be taken to fight off tough parasites like the saltwater Ich. Blue streak wrasse are usually energetic and will bring life to any aquarium they occupy. However, only one cleaner per 15 fish is suggested and a tank with not less than 50 gallons of water will ensure their chance of a long life. This article has been taken under fish for thought. Next week we will feature Pest control, join us and discover the best fish for this daunting task. They feed on film algae (both green and brown), diatoms, macro algae and to some extent cyano bacteria.